Tom kha gai is a hot and sour chicken and coconut milk soup with a touch of sweetness. It is without a doubt, one of Thailand’s most famous soups. In my two trips to Thailand, I experienced quite a variation in styles. Some were thick and more coconut milk-based, some thinner and more broth-based, some ultra sweet, some just a tad sweet, some with a lot of lime juice, some with very little, some with fish sauce, some without fish sauce, some super spicy and some not spicy at all. The end product is really up to you and your personal tastes. Although often made with chicken (“gai” is Thai for “chicken”), shrimp or squid are often used as well. You could even use beef or pork. Regardless of those variations, tom kha gai is always made with three quintessentially fragrant Thai herbs and spices – kaffir lime leaves, galangal and lemongrass – and Thai bird’s eye chilies. Along with the coconut milk and chicken, those are the classic tom kha gai ingredients. You can find all of these things in most Asian supermarkets however many regular supermarkets now carry them. If you can’t find galangal, which is similar to ginger, it’s fine to use regular ginger, though galangal is ideal as it’s more herbal and lemony. Fresh kaffir lime leaves may be also hard to find but many places carry dried or powdered forms. Fresh leaves are best of course as they’ll impart the best flavor. After that, it’s just a matter of personal taste. 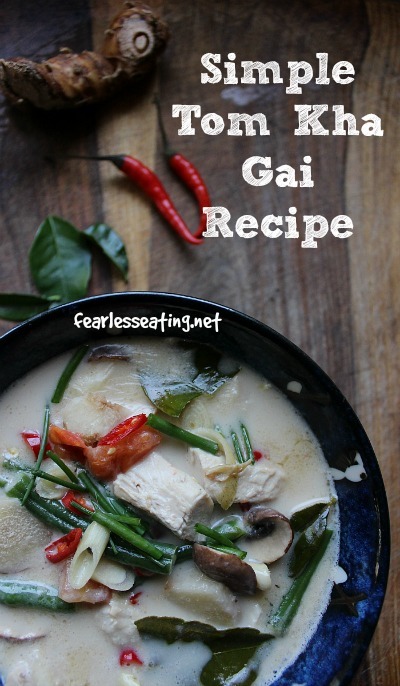 For example, while I LOVE fish sauce, I don’t love it in this simple tom kha gai recipe. The versions I liked most in Thailand were more sweet than salty. I also don’t love a lot of lime juice. One squeeze of one lime wedge per bowl is all I need. 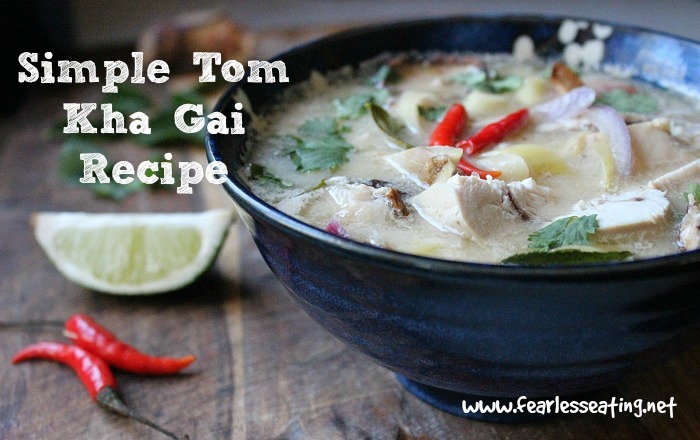 This simple tom kha gai recipe is inspired from the island of Koh Lanta in southern Thailand. The Thai family that ran the guesthouse where I stayed made the best version I had anywhere in Thailand. They even let me come in the kitchen to observe how they made it! It was the first time I’d ever seen it made and I was surprised just how simple it was. It’s basically just three steps. First, simmer the coconut milk, chicken broth and coconut sugar for a minute or so and then add the lemongrass, galangal and kaffir lime leaves and simmer for another 5-10 minutes to infuse their flavors. Next add the chicken and simmer for a few more minutes. And finally, add the chilies and the veggies and simmer 4-5 more minutes. And if you’re not a fan of spice, not to worry! You can use as much or little chilies as you want. Find what you like and I guarantee you’ll fall in love with this simple tom kha gai soup recipe. This recipe for a Tom Kha Gai, the classic Thai coconut chicken soup, is easy to adjust to your personal taste, especially if you don't like spicy! 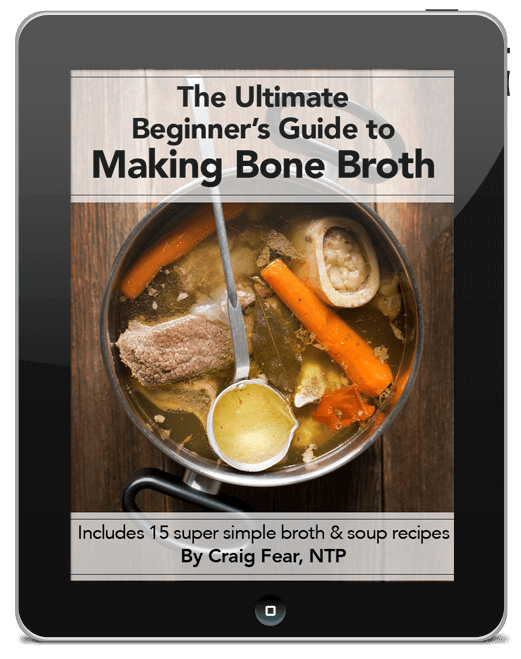 1.Bring coconut milk and chicken broth to a simmer, add coconut sugar, pinch of salt and mix well. Add more coconut milk for a thicker consistency (especially coconut cream) or more broth for a thinner consistency. Note: Many tom kha recipes are more coconut milk-based rather than broth based and many don't even use broth at all. It's totally up to you. Add lemongrass, galangal, kaffir lime leaves and simmer 5-10 minutes. 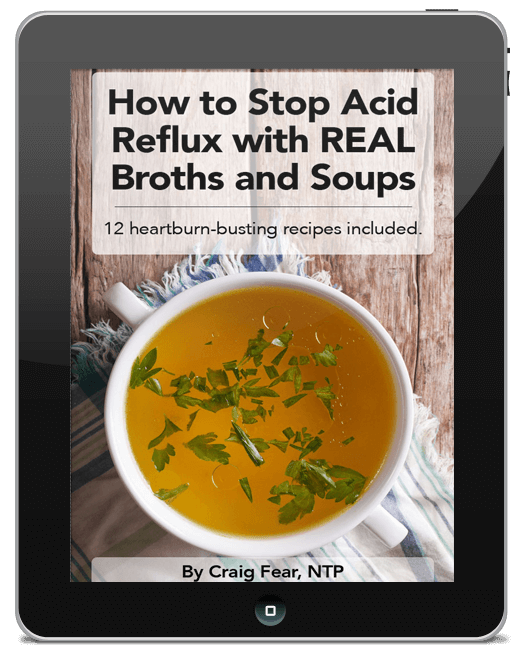 The longer you simmer it, the more the flavors will infuse into the soup. You can simmer it for 15-20 minutes if you'd like. Add chicken and simmer a few more minutes. Add veggies and chilies and simmer a few minutes. Remove from heat and and flavor with lime and additional coconut sugar, chilies and/or fish sauce. Top with green onion and cilantro. 1. For a mild spice, use only one chili, for a medium spiciness use two and for a really good kick, use three! For zero kick, don't use any chilies at all. 2. 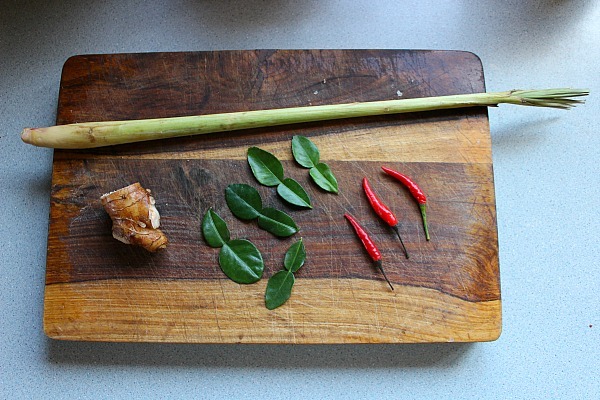 Don't eat the lemongrass, kaffir lime leaves or galangal! They can't hurt you but they're quite tough and meant more for flavoring. You could also tie them up into some cheese cloth or a spice bag while simmering. 3. Sub shrimp, squid, beef or pork for the chicken. 4. Use any veggies you want. Broccoli, carrots, baby corn, cauliflower are other common Thai vegetables. Want to Learn More Simple Thai Soup Recipes? 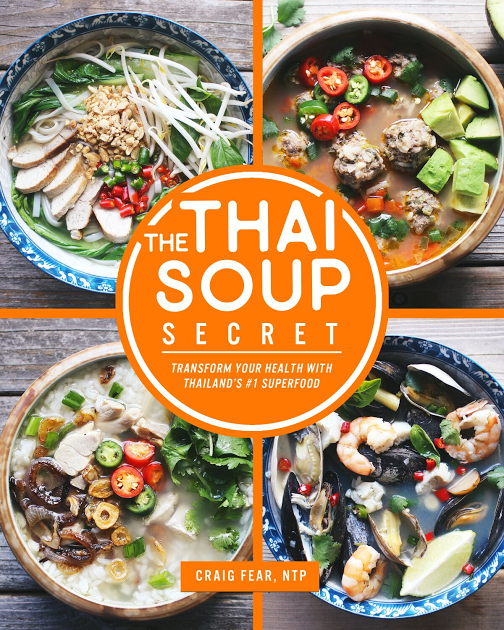 My new book, The Thai Soup Secret, is now available! The Thai Soup Secret includes not just this recipe for a simple tom kha gai but also simple Thai soup recipes such as tom yum goong, thai vegetable soup, thai noodle soups, thai congees and dozens more!